Viceroy Santa Monica is pulling out all the stops to make it easy for LA locals and visitors to get desert-ready. It’s all part of an increased effort by the property to start a new wave of hotel programming for both guests and visitors alike. 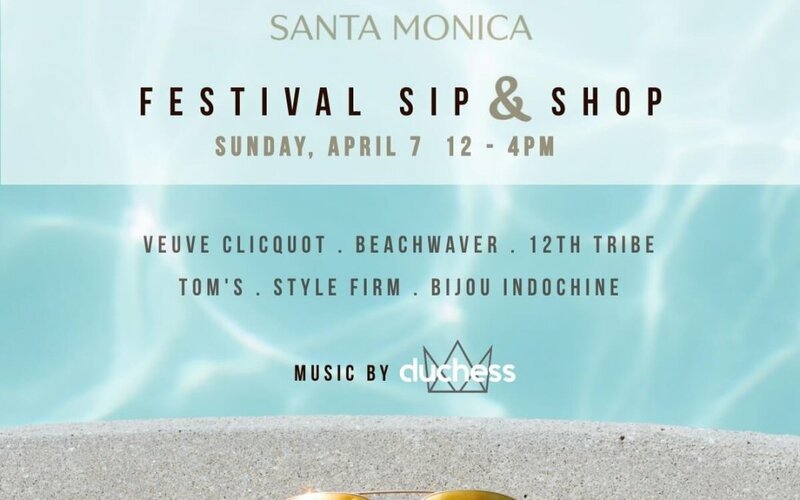 On Sunday, April 7th from noon to 4:00 p.m. they’ll be hosting a pop-up event allowing attendees to browse all the latest trends poolside while sipping champagne from Veuve Clicquot and a variety of other cocktails. In addition, guests will be enjoying bites from the property’s Cast Lounge, with music by Duchess. Makeup artists from MAC Cosmetics will also be on-hand to provide complimentary festival looks for shoppers, and Beachwaver will be styling hair. Other featured brands include 12th Tribe, Tom’s, Style Firm activewear, and Bijou Indochine jewelry. Shoppers who RSVP will be automatically considered to win a pre or post Coachella one-night stay at Viceroy Santa Monica in their premium Ocean View King room, with breakfast included, and a selection of prizes from the event’s partners. Shoppers can RSVP using this link. Sustainability Has Never Looked This Good! 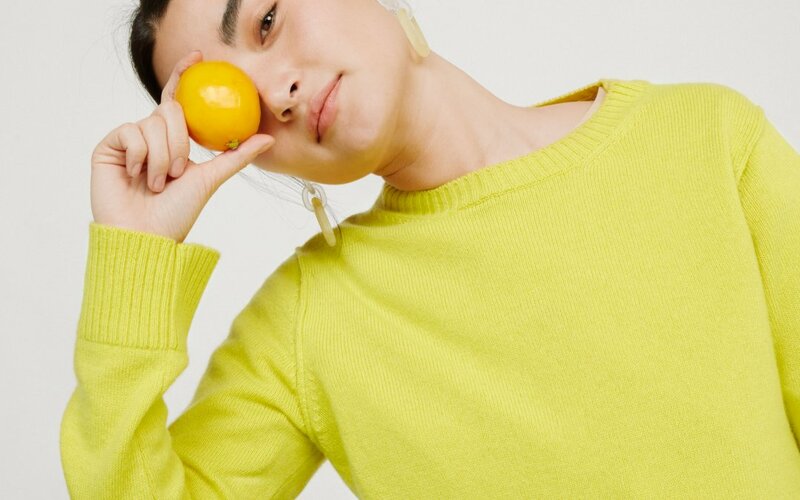 As if there weren’t a better time for an ecologically sound launch, San Francisco-based Frances Austen (an heirloom collection of 100% biodegradable, and conscious cashmere staples) launched its Spring 2019 Collection just days ago. After weeks of storms, Los Angeles is now blooming with luscious green mountainsides, dreamy flower fields, and now, vibrant, environmentally conscious and responsibly crafted sweaters. With three different styles, there’s truly a look for everyone. The collection features “The Raw Edge Crew,” “The Reversible V,” (which is exactly what it sounds like!) and “The Lantern Sleeve” — all of which come in a spectrum of colors to fit your mood. From bouncy spring time hues, to the dull rainy day blues, Frances Austen makes an illustrious statement in a way that only this California based brand can. The Raw Edge Crew is nearly your average sweater, but made incredibly stylish, with its side slits and raw edge details along the sides and shoulders of the sweater. It’s sure to elevate your everyday look and boost your look to anything but ordinary. The Reversible V kicks things up several notches, as this sweater is suitable for work or a night on the town. The highlight of this sweater is the ability to wear it with a plunging collar down the chest, or down the back. This is undoubtedly versatility at its finest. The final style, The Lantern Sleeve, hugs you in all. the right places, and let’s go in some of the others. Imagine bell bottoms, but in a sweater style — yet modernized, simplified, and fun. Frances Austen’s collection, described by the founder Margaret Coblentz as “buttery soft, timeless staples to last,” are created with only the most premium expectations and highly acclaimed partners. With their cashmere yarn spun by one of the biggest producers of sustainability, quality, and transparency, Cariaggi (based in Italy), Frances Austen’s “threaded gold” is then knitted into beautiful and comfortable sweaters by Johnston of Elgin – A 200 year old factory known for luxury textiles! Simply put, don’t be afraid to wear these luxury sweaters everyday if desired. They’re made to last. The family owned Johnston’s of Elgin carries great pride and honor in its practices of traditional and responsible craftsmanship. As the largest employer in their community and town of Hawick, it’s no wonder they’re not only held to such a high standard, but are also partnered with Frances Austen. With its yarn being Oeko-Tex Standard 100 Certified (chemical-free cashmere meeting international safety standards), and 15-micron fibers, Frances Austen’s pieces only get softer with time. In addition, their high quality yarn means less fabric pilling. With over 15 years in the retail industry, Margaret has one unwavering goal: to minimize the overproduction of fast fashion, by producing more consciously consumed fashion. Exactly how can this goal be achieved? By using higher quality sustainable textiles and practices. By implementing cashmere yarn spun in Italy and woven in Scotland, Frances Austen’s collection of conscious cashmere sweaters are everlasting and designed to be re-worn every day. Frances Austen’s new collection can be purchased online, or at select retail boutiques, from $85 to $495. Sustainability may not have always been pretty, but if Frances Austen is any indication of the direction we’re heading in, it can only get better from here. 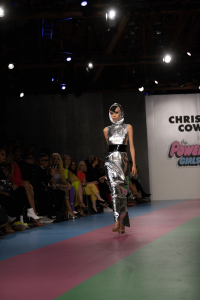 If there’s something to be said about Christian Cowan, it’s that he’s as innovative as he is fun. 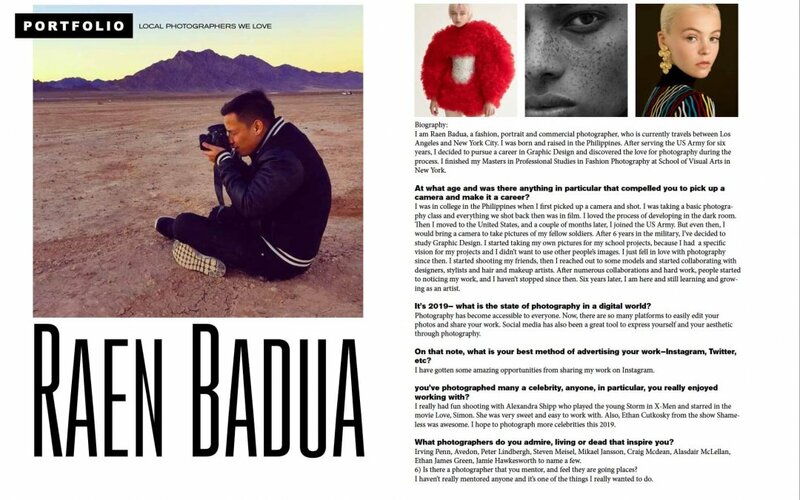 We’re talking about a designer who’s dressed the likes of Beyoncé, Lady Gaga, Naomi Campbell, Cardi B, Ariana Grande, and so many more, marking him as a prominent creative in the fashion industry. 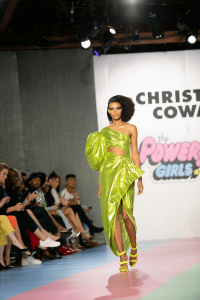 Amidst his well-deserved success, Cowan chose to celebrate women on International Women’s Day with a thoroughly captivating runway experience in Downtown L.A. at the City Market Social House showcasing his “Powerpuff Girls” inspired capsule collection. The partnership came directly from Cartoon Network, the very network that first aired “The Powerpuff Girls” in 1998. 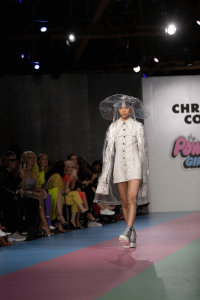 In a continued celebration of the show’s 20th anniversary, Cartoon Network saw it fit to align itself with Christian Cowan to develop a collection that not only celebrates a pop culture phenomenon like “The Powerpuff Girls,” but also furthers the notion that women and girls can be powerful at any age. 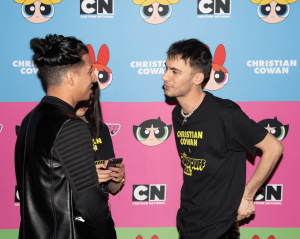 The collaboration between Cowan and The Powerpuff Girls will also benefit and support She’s the First (STF), as a means to further promote the nonprofit’s mission to fight gender inequality through education. STF believes that a girl with an education is unstoppable! 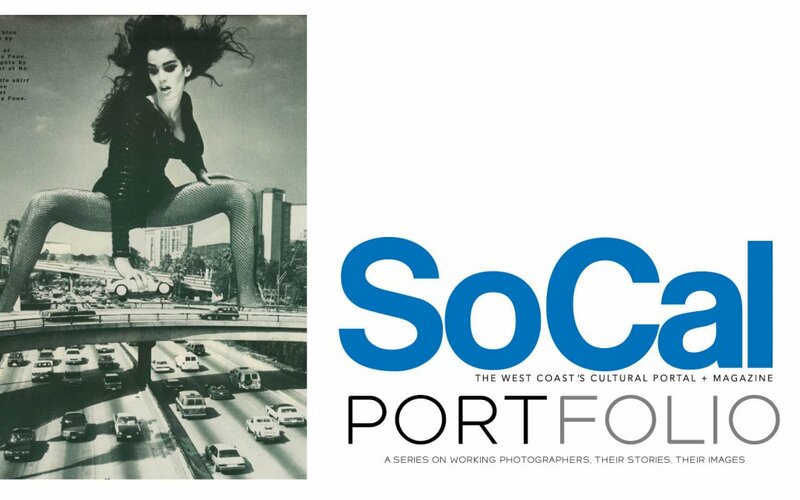 SoCal Mag was all for the nostalgia and appreciated Cowan’s attention to detail through design from the show’s inspiration. 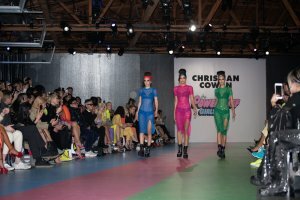 Hues of the iconic blue, green, and pink donned by the Powerpuff Girls’ uniform were seen throughout the collection with additional nods to other notable characters from the show like Miss Sara Bellum and the Girls’ arch nemesis, Mojo Jojo. 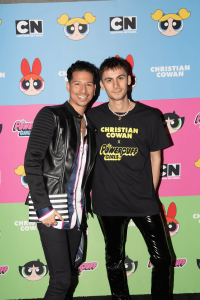 Celebrities in attendance included: Paris Hilton, Heidi Klum, Erika Jayne, Tinashe, Amanda Steele, Kollin Carter, Carly Rae Jepsen, Monique Coleman, Betty Who, Skai Jackson, Kim Petras, Draya Michelle, Shaun Ross, Julissa Bermudez, Francia Raisa, EJ King, Gia Gunn, Max Emerson, Marta Pozzan, Megan Pormer, Patrick Starrr, Christa Allen, Madison Grace, Niia Bertino, Ginta Bertino, Nikita Dragun, Jazzmyne Roberts, Khrystyana Kazakova, and Lindsay Webster. 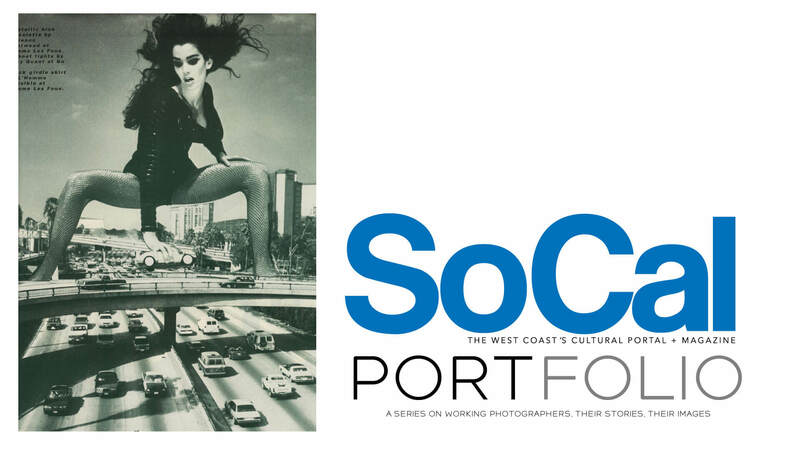 We are looking for talent—photographic talent—portfolios with great stories, great images.